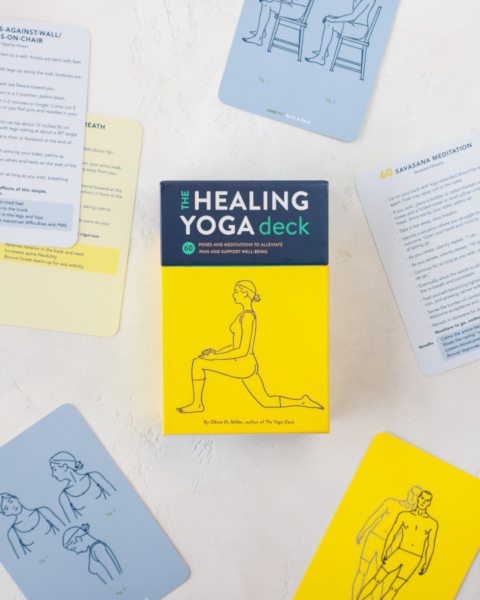 The Healing Yoga Deck features 60 cards consisting of poses and meditations designed to enhance well-being by focusing on six common health and wellness areas. Click on the name of each section to view a sample card. 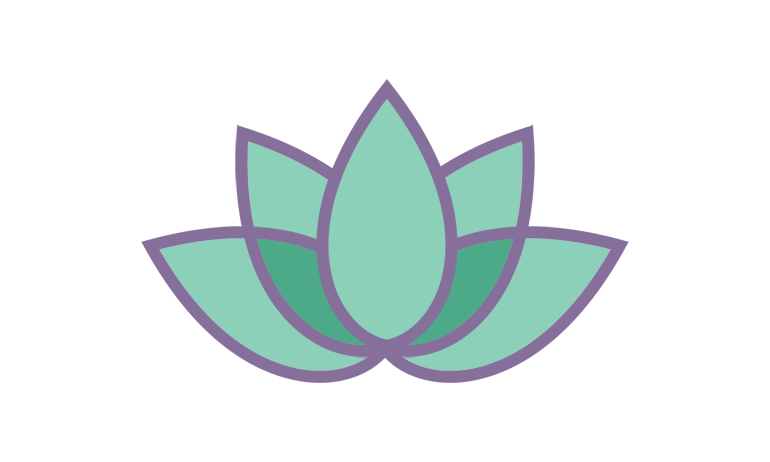 We often think of yoga as a calming practice, and it surely is. 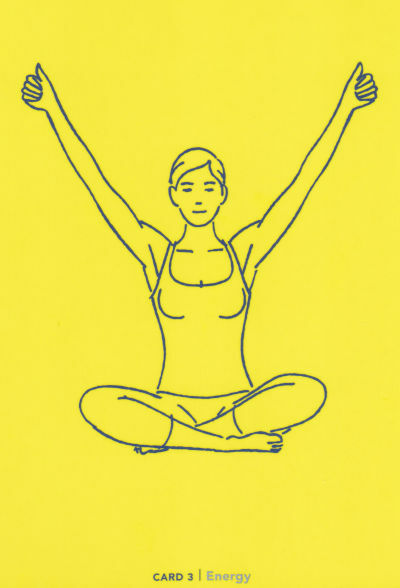 But yoga can also help us kick it up a notch whenever an energy boost is needed. 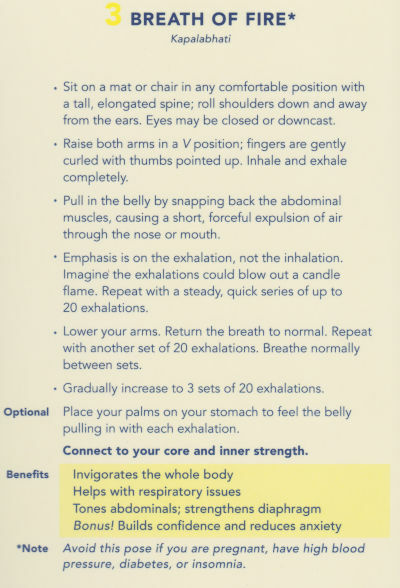 This section includes poses that open the chest, which increases energy by allowing fuller breaths. 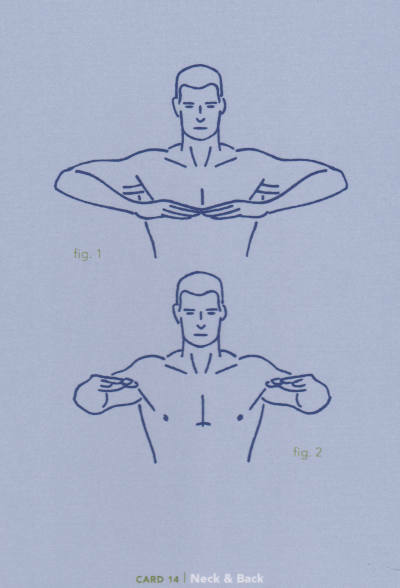 By the way, chest openers also correct rounding of the shoulders, which improves posture. If your energy tank is running on empty, grab a few Energy Booster cards and fill ‘er up! 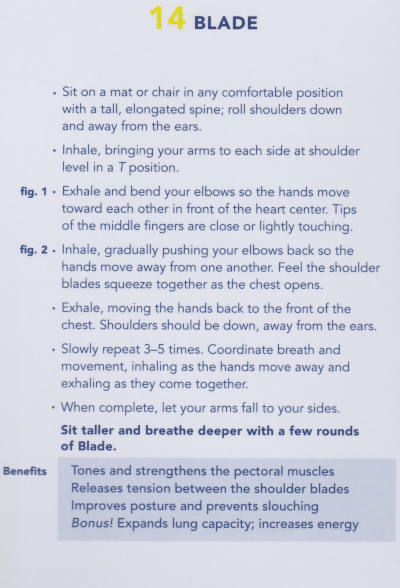 Cards included in this section focus on alleviating tension held in the upper body. 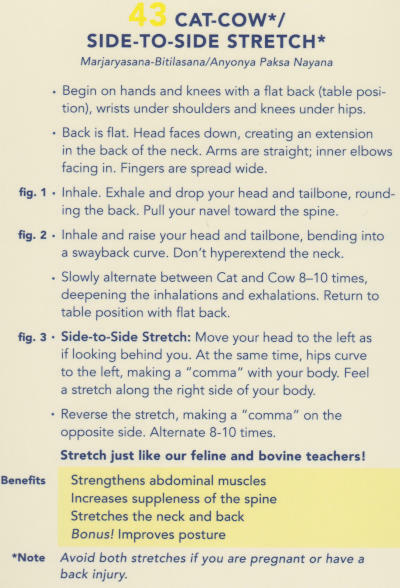 Many of these postures counteract all the forward-bending tasks we do and will help you become more aware of your posture as you sit straighter, breathe deeper, and think clearer. Let’s face it; we sit a lot—at the computer, in the car, on the couch. Too much sitting can wreak havoc on the low back, hips, and legs. Or maybe you’re dealing with overuse injuries that can come with physical activities such as running, biking, or dancing. 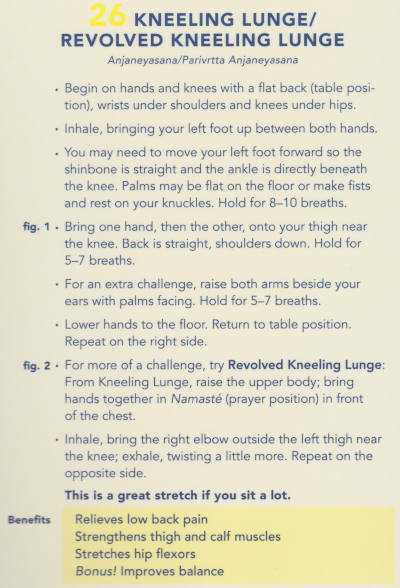 These cards help open your hips and stretch and strengthen your legs, ankles, and feet so you can move confidently through life. Strong bones are essential to optimal health. 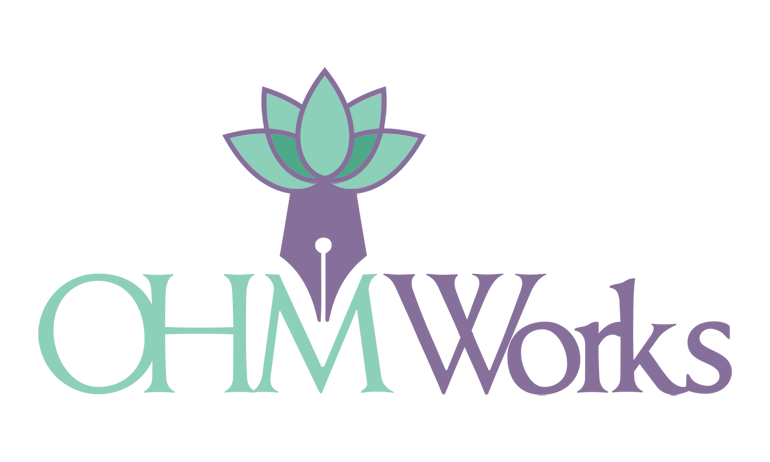 Research has shown that specific yoga poses can prevent, slow, and, in some cases, actually reverse bone loss. Here you’ll find weight-bearing poses that can build bone mass by placing “healthy stress” on the skeletal system and muscles. 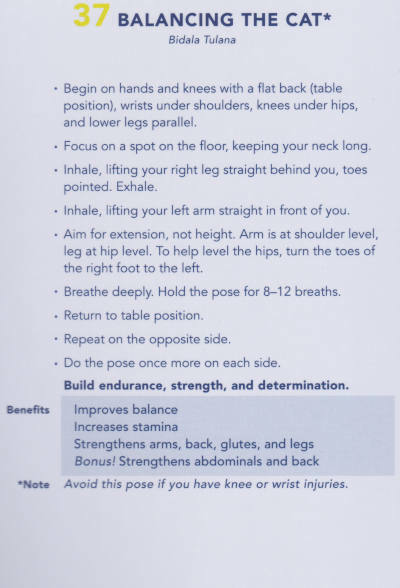 Postures that improve balance are also included, helping to prevent falls that can cause fractures. Hippocrates said it best: “All disease begins in the gut.” A healthy gut equals a healthy body, mind, and spirit. 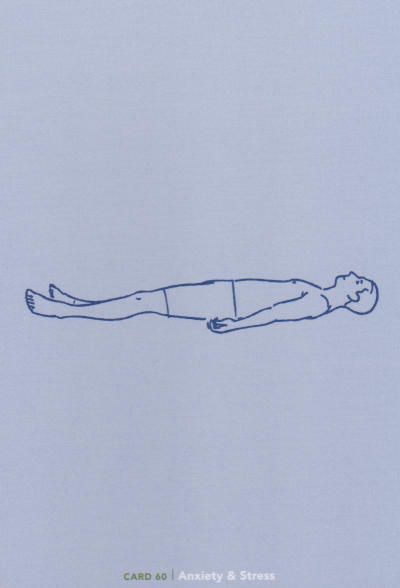 This section includes poses that massage and compress the digestive organs, stimulating the elimination of toxins and waste. Other poses strengthen the abdominal muscles and improve blood and lymph circulation, which helps the absorption of essential nutrients. 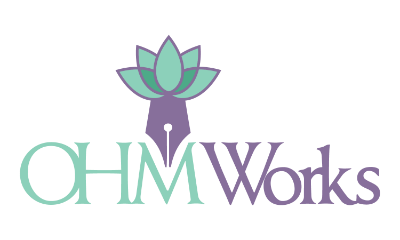 Chronic stress and anxiety can cause emotional, mental, and physical harm. 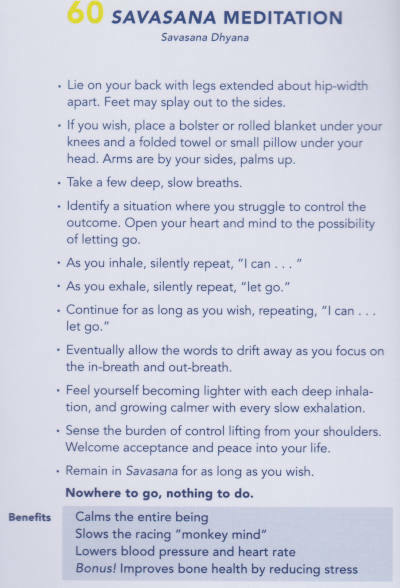 Just a few minutes of deep breathing, gentle movements, centering meditations, and calming relaxation poses can equip you with the necessary tools to counteract the negative effects of too much stress.